Los Angeles, CA – South Carolina has scored big with two major foreign tire makers saying they will invest millions to expand their manufacturing operations in the state. Japan-based Bridgestone Tire Co. Ltd. has said it will open a plant to make giant, off-road radial tires for earthmoving and mining equipment at a new facility in Aiken County, while France’s Michelin Tire Co. has begun operations at a new facility in Piedmont producing the company’s newly-developed TWEEL airless radial tire. The Bridgestone plant will cover 1.5 million-square-feet and is the second tire manufacturing plant the company has built in Aiken County. The company has operated a passenger tire facility in Graniteville since 1998. In 2011, Bridgestone announced a planned $970 million investment to build the company’s first U.S.-based off road radial tire plant, as well as expand production capacity at Bridgestone’s steel cord manufacturing facilities in Clarksville, Tennessee, and Saga, Japan. The opening of the new Aiken County plant “completes the largest portion of the planned investment,” the company said. Both the Clarksville and the Saga facilities will supply the steel cord used in making the tires that will be produced there. 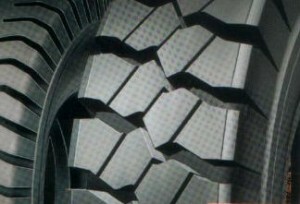 The new tire concept was developed at the company’s research center in Greenville, one of Michelin’s three global technology centers. The TWEEL is a non-pneumatic tire that changes the configuration of a conventional tire by combining the tire and the wheel assembly into a single, solid unit comprised of a rigid hub connected to a shear beam by means of flexible, deformable polyurethane spokes. The new 135,000 square-foot facility represents Michelin’s 10th manufacturing facility in South Carolina and the 16th in the U.S. The company said it will invest about $50 million in the new plant.